Haus of beauty: Update and Born this way ball outfit! Update and Born this way ball outfit! I'm sorry I have been away for a while and not posted anything! The computer guy has got my lap top because my screen is broken and is getting fixed so I will be using my iPad, but still won't be able to post much. I'm sorry I have not go the lady gaga nail tutorial up yet but I will have it up soon because I'm going to the born this way ball aka lady gaga's concert in 20 days and I'm trying to get my outfit ready. Hair: white wig with light pink extensions, black headband with studs. Makeup: I'm not really sure but I'm thinking black, big, thick, winged eyeliner and maybe red lips but still not 100% sure. Nails: lady gaga pointy nails. 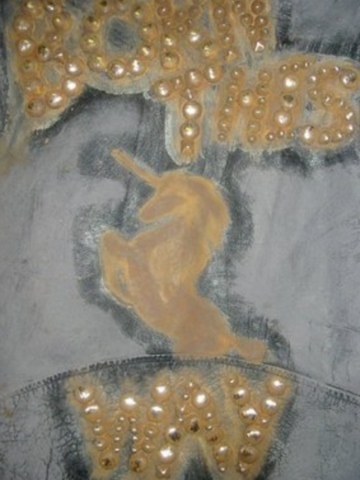 Jacket: born this way denim jacket with the unicorn on it. Bottom's: maybe black ripped leggings. Shoes: I'm not sure about my shoes but maybe high heel boots with studs on them. I'm going to do a video on klip of everything I'm wearing and will also post it to my blog. 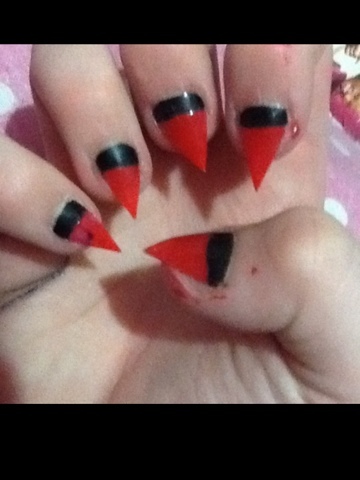 I will also be doing lady gaga nail tutorial on what I'm wearing to the BTW ball and also the nail tutorials I said I would post! Comment below your blog, I would love to vist your blog and follow you.